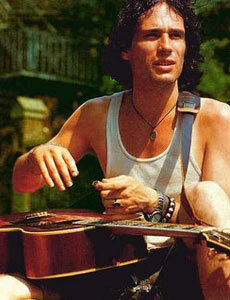 Jeff Buckley Biography, Discography, Music News on 100 XR - The Net's #1 Rock Station!!! Singer + gitarist & songwriter Jeff Buckley was born on November 17, 1966, in Anaheim, California USA and died in a tragic drowning accident in Tennessee on May 29, 1997. He had emerged in New York City's avant-garde club scene in the '90s as one of the most remarkable musical artists of his generation, acclaimed by audiences, critics and fellow musicians alike. His first commercial recording, the 4-song EP "Live At Sin-é", was released in December 1993 on Columbia Records; the disc captured Buckley, accompanying himself on electric guitar, in a tiny coffeehouse in New York's East Village. 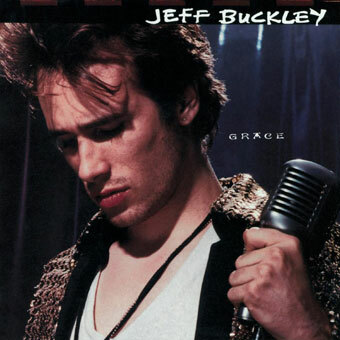 By the time of the EP's release during the fall of 1993, Buckley had already entered the studio with bass player Mick Grondahl and drummer Matt Johnson recording seven original songs and refashioning classic material including the intensely emotional cover of Leonard Cohen's "Hallelujah". Guitarist Michael Tighe became a permanent member of Jeff Buckley's ensemble and went on to co-write and perform on "So Real" just prior to the release of the Buckley's first full-length, full-band album, "Grace"; it was released in August 1994 reaching the #5 position on Billboard's Top Heatseekers chart while the main single, "Last Goodbye", hit #19 on The Modern Rock chart. 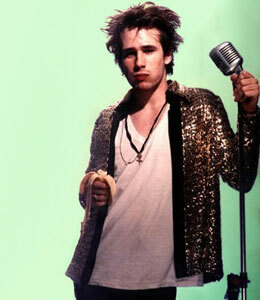 Jeff Buckley and his touring band supported the album with a successful international tour, including several shows in Australia, where "Grace" earned a gold record certification. Drummer Matt Johnson left the group in March 1996, after the final Australian concert. Buckley and his group had recorded intermittently, during summer/fall 1996 and early winter 1997 in New York and in February 1997 in Memphis with new drummer Parker Kindred. After the conclusion of those sessions, Buckley sent the band back to New York while, during March and April 1997, he remained in Memphis and continued to craft his work-in-progress, making various 4-track home recordings of songs to present to his bandmates. On May 29, 1997 Jeff Buckley decided to take a swim, fully clothed and still wearing his boots, in the Wolf River, a tributary of the Mississipi River, in Memphis; a moment later, his friend Keith Foti realised that he was gone. It was the evening his band came to the City of Kings to start recording for his second album which was to be called "My Sweetheart The Drunk". Buckley's body was recovered five days later. Initial speculation was that he'd committed suicide, but the autopsy confirmed that he had no illegal drugs in his system and his estate insists it was simply a tragic accident. 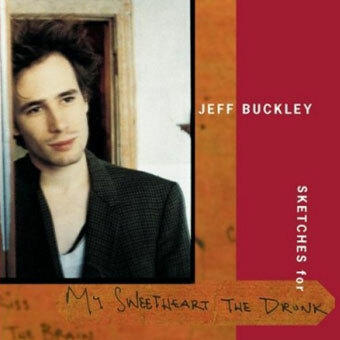 His mother and record label rounded up the majority of the existing unreleased recordings and in May 1998 "Sketches For My Sweetheart The Drunk" was released; the double-disc set debuted at #64 on The Billboard 200 Albums chart. Two years later, Columbia Records released "Mystery White Boy Live '95-'96", an album of live performances, and "Jeff Buckley Live In Chicago", a full-length concert, available on DVD or VHS, recorded live at The Cabaret Metro in Chicago on May 13, 1995, in the midst of Buckley's "Mystery White Boy" tour. In March 2008, "Hallelujah" reached the top of Billboard's Hot Digital Songs chart after American Idol contestant Jason Castro performed the song on the show and in December the song entered the U.K. Singles chart, just two weeks before the winner of the TV talent show 'X Factor' decided to release a cover of the song in a bid to get the coveted Christmas #1; Jeff Buckley fans protest against the TV show's cover of Leonard Cohen's song by bringing Buckley's version of "Hallelujah" up the charts.